Laptops, computers, smartphones, tablets, TVs, even fridges have one thing in common — they can probably run a browser, so you can probably play an HTML5 game on them. Rendering the game on screen is one thing, but you also have to control it somehow, and there are plenty of different options suited for various platforms. From touch, through mouse and keyboard, to gamepad, even a TV remote or … bananas — these interfaces are covered in a series of new articles about control mechanisms now available on MDN. 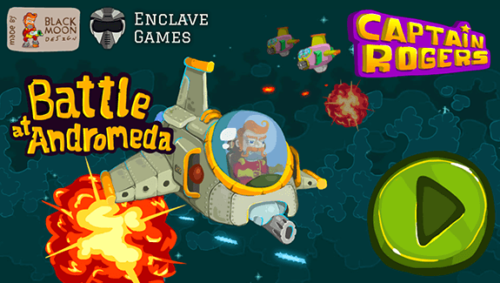 To showcase their real-life use in a project, these control mechanisms are implemented in the Captain Rogers: Battle at Andromeda demo game built with Phaser, so you can see how the gameplay is affected by the platform. You can also see that you don’t need separate builds dedicated to different platforms — the multi-platform nature of the Web can help you adjust the controls to the device the game is played on without much coding effort. Those are just the basics, and you can (and should) expand the possibilities, for example implementing multi-touch or gestures. It all depends on what type of game you have, and what should be controlled (and how). 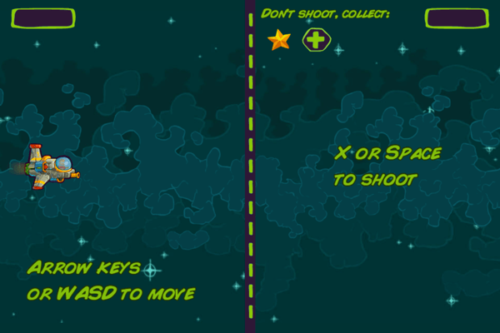 You can also offer on-screen buttons to perform given actions, for example movement arrows and a shoot button. See the Mobile touch controls article for more details. 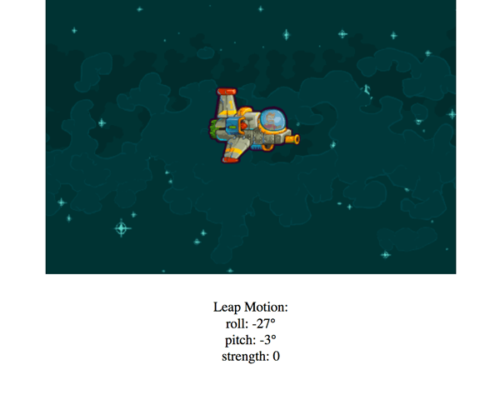 The player’s x and y position variables are adjusted and then the image of a ship is built out in the new spot. 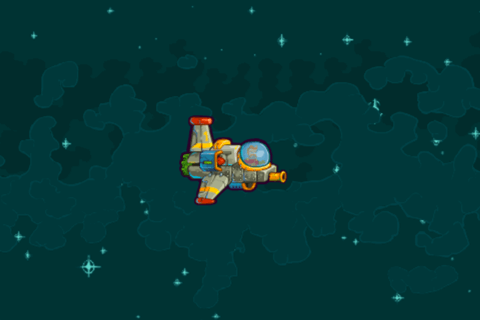 The mousemove event is detected, and the player’s position is adjusted to place the ship in the middle of the mouse’s pointer whenever it changes. That’s all it takes to make your game playable on desktop using both keyboard and mouse — for more details see the Desktop mouse and keyboard controls article. 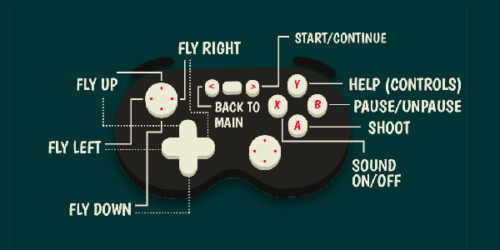 My favorite controller — I use the Gamepad API to control all my HTML5-based slides during presentations. I’ve talked about it a few times, written a couple of articles, implemented some games, and included all the relevant info in the Gamepad API Content Kit. It’s really awesome that we’re able to feel the console experience on a computer, and it works thanks to Web technologies! Playing Captain Rogers with a gamepad enriches the experience and just feels a lot better. That way we can control the player’s ship by pressing the corresponding DPad buttons, and even fire a bomb explosion with the A button. You could also detect the axes, or even build your own small library for handling gamepad input — check out the Desktop gamepad controls article for more details on that. If you like, you can go even further and play a game with remote control on a huge TV screen standing in your living room, waving your hand in front of the laptop, or pressing everyday food connected with wires to your PC. 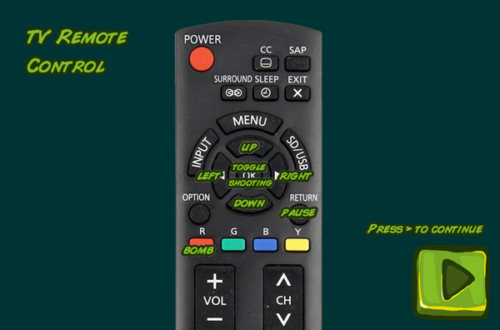 For example, Panasonic’s TV remote is surprisingly easy to implement controls with, as it reuses keyboard events, and the directional arrows have the exact same codes as keyboard cursor keys – 37, 38, 39 and 40, so it works out of the box. If you need more remote-specific buttons, here’s a full list, along with more detailed information. You’ll find the implementation of other interesting control mechanisms like Doppler effect, Proximity API, or even MaKey MaKey in the Unconventional controls article. These days, there’s a growing collection of devices large and small you can use to play HTML5 games. Your watch? A voice-activated web game? The possibilities are endless. And remember: the more control mechanisms your game can support, the better, because then it can be played on wide range of devices, on every possible platform. Take advantage of the opportunities enabled by the browser. PreventDefault is there in the source code of the pure JS demo and in the MDN articles for the touch events, and of course it can be also used with keyboard too – I omitted it here on purpose to focus only on the controls themselves and to keep the code snippets as short as possible.